In his or her daily life and service to God, the Christian worker needs to hear, be sure of, and follow God's voice and guidance. Such knowing and obeying can sometimes make the difference between life and death - not only for the Christian Worker but also for the several souls and destinies that may be connected to him or her. 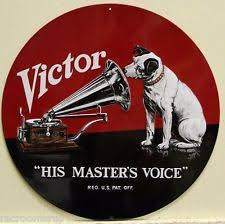 Also, recognizing the Master's voice makes a lot of difference to all human struggles. For example, sometime in the past, a fellow Christian Brother and i met to pray over an important and pressing matter to our interdenominational fellowship. with my eyes still closed, the Lord gave me a vision, It was a cart going uphill by itself. No one was operating it. After the prayer I shared the vision with my prayer partner The Lord gave us the meaning, that its not by might nor by power (Zac 4:6-7). It was a clear answer. What had been a burden to us had already been taken care of by the Lord. Not long after, there was a dramatic divine intervention! In one of the missions fields we were posted to, a little over two decades ago, I was virtually giving up due to all the challenges of the work. then, I went for a conference, and on the second to the last day of the conference, the Lord impressed it upon my heart that my assignment was already done, and that about a month later, I would be leaving the field. This was a great relief to me, having left my wife and two children for about a year, and it was as if I had been abandoned in a wilderness. To God's glory I left exactly a month later as the Lord has said. However, it was almost two years later before clear evidences emerged that truly my assignment and purpose had been completed. Thank God for His mercy and faithfulness. Pastor Abraham Adewole has always motivated me with all His books God will continually to reward him and more Vission upon him.